TALLAHASSEE – Gov. 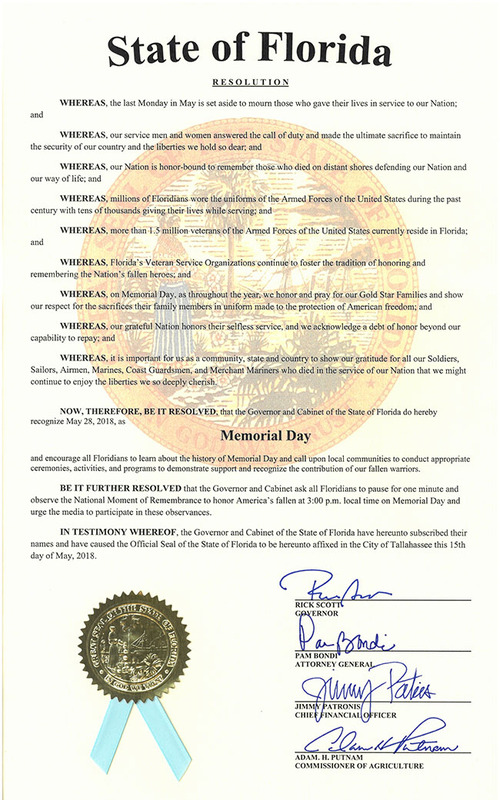 Rick Scott and the Cabinet have released the annual Memorial Day Resolution from the State of Florida. Memorial Day is Monday, May 28, 2018.